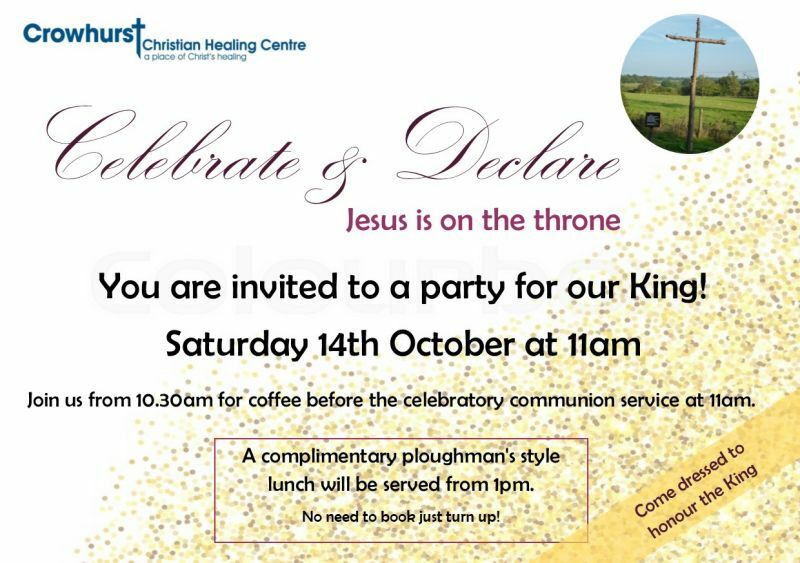 Jesus is King at Crowhurst Christian Healing Centre! Join us at a party to celebrate and declare this fact. Tea and coffee will be served from 10.30am before a celebratory communion service at 11am. Everyone is welcome to join us for a ploughman`s style lunch at 1pm before departing at around 2pm. Come dressed to honour the King!